IF YOU’VE NEVER HEARD OF SÁNDOR KOCSIS, it’s likely that you’re not from Hungary or you’re not a die-hard Barcelona supporter. Held up as a cherished cult hero by both sets of fans, Kocsis’ quality is well known by both the Blaugrana and admirers of Hungarian football history, but outside of those circles he’s generally brought up in conversation rarely – or as a recent footnote, someone whose international goals tally looks set to be inevitably overhauled by Cristiano Ronaldo. Search his name on Twitter or on Google and he will appear as just another name about to fall victim to Ronaldo’s insatiable appetite for goals. Just two strikes away from equalling his haul, it is only a matter of time until the Portuguese overtakes him, and yes, before the Los Blancos attacker moves past Ferenc Puskás, too, to top the all-time European international goal-scorer list. But to refer to Kocsis in such a way is to do him a terrible injustice because he is so much more than a milestone to overcome. First and foremost, he is a national hero whose legacy deserves to be celebrated by football fans everywhere and held up in as high regard as the Pelés, Romarios and Silvio Piolas of the beautiful game’s history books. Aspiring strikers everywhere spend hours studying and mimicking the moves, styles and tricks of their modern heroes, but there is a great deal to be said for delving into the past, plonking oneself in front of a screen and watching old black-and-white footage of someone of Kocsis’ unrivalled ability. Even today, the Hungarian great has a lot of lessons to impart. After all, a great footballer is a great footballer no matter what era they are from. 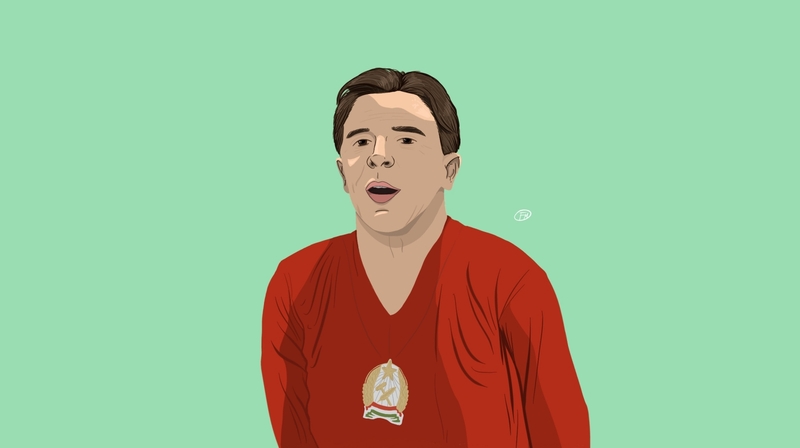 Not often showered with mainstream praise, it might surprise you to learn, then, that Kocsis is arguably the greatest goalscorer ever seen on the international stage. He didn’t win the World Cup, European Championship or the European Cup, he wasn’t the highest scoring Hungarian in history and he didn’t rack up an insane amount of 1,000-plus goals in his career. That said, there is still a very convincing argument that we have not seen since his playing days came to an end, nor will ever see again, a striker of his clinical nature. That’s because in a mere 68 international appearances for his country, he scored 75 times. Just let that sink in for a moment – his goals-to-games ratio was a mind-blowing 1.10 per match. That is, quite simply, an astonishing number that not even Portugal’s Ronaldo can ever hope to get anywhere near. In fact, it has taken the much-lauded Real Madrid captain twice as many appearances to score two less than Kocsis. Kocsis is said to have been so good in his pomp, in fact, that Gergely Marosi, a prominent Hungarian journalist and expert on all things Magyar-related, believes his goalscoring achievements will not be emulated ever again: “His 75 goals in 68 matches for the national team is, quite simply, insane,” Marosi told These Football Times. Indeed, if there is one big highlight that sticks out in Kocsis’ goal-filled career for his beloved country, it is his contributions on that day in Lausanne on June 30, over 60 years ago. The rise before the fall, his expertly dispatched double that afternoon marked his 47th and 48th goals respectively in his international career and would go on to cement his status as the top scorer in Switzerland that summer with a remarkable 11 goals, thus claiming the cherished Golden Boot award. Before gifting Hungary the victory in extra time, though, Kocsis’ heading ability was witnessed for its creativity, proving that he wasn’t simply a finisher, but a provider of assists as well. As Nándor Hidegkuti – the renowned scorer of a hat-trick in the 6-3 ‘Match of the Century’ win against England – received the ball 15 yards from the edge of the box, he sized up his options surrounded by markers before dinking a lovely lofted chip into the alert Kocsis, whose perfectly directed header squeezed through to Zoltán Czibor to finish with a sweetly-struck left-footed effort that arrowed into the bottom far corner of the net in the 12th minute. Hidegkuti himself doubled Hungary’s lead two minutes following the restart to set them up for a comfortable finish, but a brace from Juan Hohberg levelled the scores to send the teams into added time at the death. Awash with drama, full-pelt running and no-nonsense approach play, this was a match played by hardy, technical characters, and it meant everything to them. The image of three Hungarian players distraught on the goal-line as Hohberg wheeled away following his second strike in the 86th minute told its own story of just how hard-fought the game was. Certain victory, snatched away with the flick of a boot against leather – such were the fine margins of the game. Cue Kocsis to produce a monstrous surge of energy and a shot of heroism. Marosi says that heading was undoubtedly Kocsis’ greatest asset – something the Hungarian journalist’s own grandfather saw used to devastating effect at first hand in his day: “My grandfather used to play lower league football in the time of Kocsis, and he was observing his game week in and week out to learn about heading,” Marosi tells me. “He says Kocsis had the best and cleanest heading technique he ever witnessed on a football pitch, combined with great jumping, and for him especially impressive was the way Kocsis aimed his strong headers downward, just around the goal-line, so the goalkeepers had really difficult time to keep those out. Indeed, that was exactly how it played out in the 1954 World Cup semi-final as ‘Golden Head’ stayed true to his name to deliver two lethal blows to Uruguay’s rally, nodding a pair of confident headers from close range on both occasions to power the ball into the back of the net past Roque Gastón Máspoli – the first to the goalkeeper’s left, the second to his right. It wouldn’t have surprised many that Kocsis was producing the goods in the absence of Ferenc Puskás, who had been missing for the quarter-final against Brazil, because Kocsis had always made a habit of rattling the net ever since his debut aged 18 against Romania (during which he pocketed two goals) and eventually went on to record an unbelievable seven international hat-tricks. 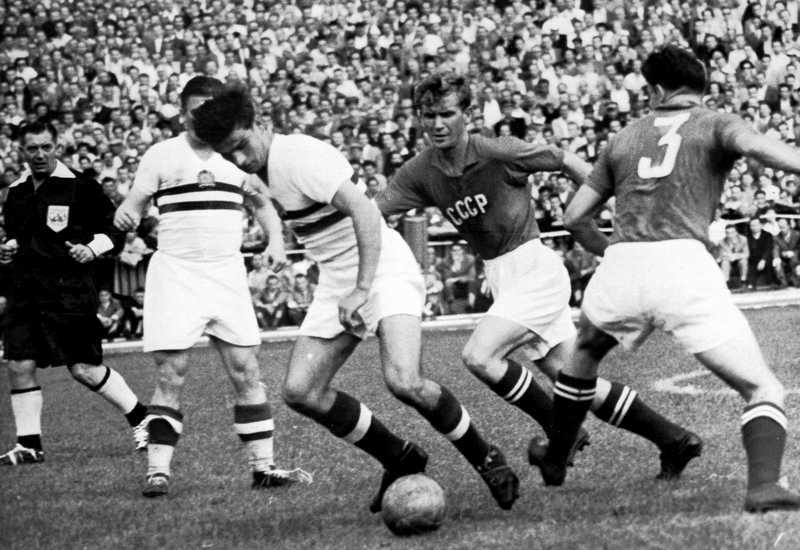 However, what is a little odd is how 1954 and Puskás are linked so positively with each other despite the “Galloping Major” experiencing a lack of game time. To the wider football community, the story of Kocsis and his goal-spree across the Swiss cities of Zürich, Basel and Bern might seem a little undercelebrated, somehow suffocated by the legacy of his more illustrious teammate and captain. The fact Kocsis isn’t shouted about in the same way might have something to do with what happened in the final. Hungary lost 3-2 against West Germany, a team they had comprehensively beaten 8-3 in the group stage when Kocsis grabbed an astonishing four goals. Kocsis was expected to shine again, but his powers deserted him against the Germans the second time around as he failed to net in the showpiece final with Puskás returning to the fray as Hungary were made to pay for a lack of clinical finishing. Kocsis was simply exhausted from his tournament plundering. He had played in every match of the tournament and had been heavily relied on to get them out of trouble on a number of occasions, not least against Uruguay and the Brazilians. A look at the ’54 final matchday squads sees László Budai on the bench, a player whom Kocsis had a good rapport with on the pitch. Budai’s crosses were often measured perfectly for the imposing striker – after all, they had combined for the first extra-time goal in the last four and had been teammates at Honvéd for several years. Perhaps that had been the problem. Whatever the reasons behind the lack of buzz for Kocsis’ legacy, the fact remains that he couldn’t do what he did best on the biggest stage around and Hungary missed their best chance of getting their hands on the Jules Rimet trophy for the first time. Marosi is of the opinion that Kocsis’ humble nature played its part in the former Honvéd star not receiving the accolades he deserved: “It might have to do with his early and tragic death, the fact that, unlike Puskás, he never had the chance to return home and his personality, which was quite reserved and introverted. He was never the one to self-promote – and that might well be a factor when building a legacy. “It’s difficult to compare players from very different periods this way. Ronaldo is a player who, alongside Messi, defines his era. I think Puskás was considered more era-defining, but Kocsis was up there in the very top strikers of the world. I don’t think Kocsis had such an impact on world football as Ronaldo, but that of course has to do in the very different era they lived in,” Marosi tells me. Essentially exiled from his home country after a student-led revolution broke out in October 1956, Kocsis never returned home while he was still alive, although he was brought back in 2012 from Spain where his remains had rested since he had passed away in 1979. That’s because Kocsis and Spain, namely Barcelona, formed a special bond for eight years. Having been on continental duty with Honvéd at the time of a serious national uprising which sent shockwaves across the country, playing the first leg of a European Cup clash against Athletic Club, Kocsis, László Kubala and Puskas ultimately took the decision to escape with their families from a Soviet-controlled country which wound up violently squashing the people’s rebellion. So began a worldwide tour with the club – deemed illegal by FIFA – which saw the players showcase their talents to a vast array of clubs in Spain and Brazil as well as raising funds. This was essentially Kocsis’ chance to break free, but while painfully distancing himself from the trouble back home – as well as the chance to ever play for his country again – meant freedom from conflict, it also signalled the breaking up of a club team that had, at one point, consisted of six Hungarian players who had featured in the infamous 6-3 routing of England. In effect, it was the end of a dream team that, had history not conspired to scatter them to the winds and deny them the opportunity to play in Europe together, could easily have gone on to monopolise European football. Honvéd’s loss would be European football’s gain as Kocsis became available for some of the best clubs around, ending a domestic career in Hungary which saw him pick up four league crowns as well as scoring a reputed 250 goals – 177 of which came in the colours of Honvéd. 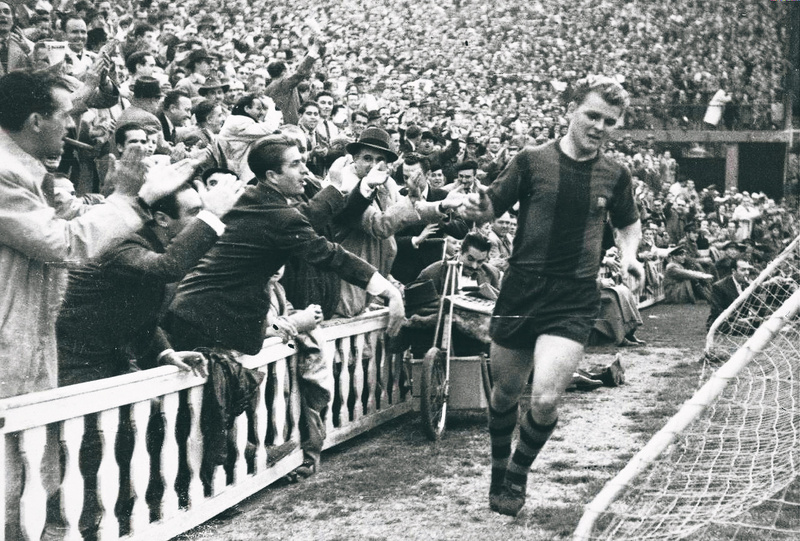 After two years globetrotting and making appearances in exhibition matches for Honvéd, the man affectionately dubbed “Kocka” ultimately found a more permanent home at Barcelona, whom he had played against on the tour, before going on to be one of the greatest goalscorers the club has ever seen. In all, he netted 151 times in 235 matches, claiming two Fairs Cups, two league titles as well as a pair of Copa del Rey triumphs to underline that, despite playing only pseudo-competitive football for almost 24 months in the lead-up to his transfer to the club, he had never lost his world-class touch and was as good as he had ever been. However, as it was for the national side, there would come one notable pockmark on an otherwise blemish-free stint. Perhaps it is no coincidence that the scene of his 1954 World Cup final disappointment, the Wankdorf Stadium in Bern, would be the same for the setback he encountered in the 1961 European Cup final against Benfica. Going down 3-2 to the Portuguese outfit, having knocked five-time champions Real Madrid out earlier in the competition, it was a bitter pill for the Spanish club to take. Kocsis, no doubt, found defeat doubly difficult to stomach because not only had he played bravely with memories of defeat on his mind, but he had overcome them by scoring the first goal of the game. Barça’s Kubala held off the attempted tackles of Cruz in the middle of the park before he spread the play wide for the right full-back Martí Vergés to run onto. Vergés collected at pace before the ball had run out of play, prodded a clever through-ball into the path of Luis Suárez, who stormed into the box from the right to curl a cross into the path of Kocsis and the Hungarian made no mistake with his finish – getting in front of his man near the back post with a fearsome leap to stab the ball into the back of the net, past the sickened Costa Pereira. Kocsis spun away, back in the direction the assist had come from, arms raised in jubilant celebration, to embrace his team-mates as the fans roared in thunderous appreciation. It was a classy goal, an important goal and one that summed up the spirit and style of Kocsis the player and the man. Full of resilience, vivacity and enthusiasm, Kocsis always played with everything he had in him and it’s no surprise that his goal in the 1961 final came, again, via his head. It really was his best weapon and although he didn’t rely solely on it to best custodians, it was his most effective means of doing so. Two of the most prestigious finals Kocsis ever played in ended in defeat and agony for him, but to focus entirely on these disappointments would ignore his ability to redefine himself, his self-belief to pursue a career as a professional footballer despite having to leave behind a country he loved, the way he spearheaded a golden generation for the Mighty Magyars, how he constantly faced down the past and the historic role he played in shaping the future of European club football. That’s because he was there for the spiritual birth of the European Cup when Honvéd travelled to Molineux to take on Wolverhampton Wanderers in a high-profile friendly in 1954, two years before his enforced separation from his homeland. It would also prove the precursor to arguably Kocsis’ greatest display of post-Hungary excellence. Wolves’ surprise 3-2 victory over the visiting Honvéd in December 1954 was used by plenty of newspapers to defend English football’s honour, with journalist David Wynne-Morgan painting a particularly colourful, if fairly propagandist, picture on the night with his reportage: “Salute the wonderful Wolves this morning for giving Britain her greatest football victory since the war. Last night under the Molineux floodlights, they beat Honvéd, the Magical Magyars, by 3-2 after being 2-0 down at half-time. England has never had more worthy champions,” he wrote. Far from being one of Kocsis’ most cherished nights of football, he didn’t let the mucky conditions detract from his skill as he got on the scoresheet once again, his involvement playing a key role in drawing such an enormous crowd to watch on the night. The result was held aloft by English pundits as proof that the nation was on the rise again following a downward spiral that had reached new lows in their Wembley defeat to Hungary a year prior, but plenty of other countries questioned that claim. The English press’ one-way exclamations morphed into a heated conversation with the rest of the continent as L’Équipe chimed in to directly challenge any proclamations of Wolves, or England, being ‘the best’. Before long, everyone was having their say, the dialogue quickly descending into a shouting match that ultimately dragged on as statements and counter-claims were made. Thankfully, bureaucracy took hold and, finally, the European Cup was introduced in the mid-1950s to settle the matter once and for all. Of course, Real Madrid dominated proceedings as they made history by winning the first five editions in a row, but for Kocsis there would be a degree of poetic justice done when he came face-to-face with Wolves once more in the second leg of Barça’s first-ever European Cup quarter-final in 1960. In fact, he would more than gain his vengeance as he scored the team’s fastest hat-trick of the competition to seal a 5-2 victory (9-2 aggregate) by netting in the 44th, 49th and 74th minutes to banish the memories of that original muddy night in the English West Midlands. One commentator at the time even went so far as to dub the rematch ‘Massacre Night at Molineux’, with Kocsis firmly cast in the role of executioner as Wolves lost their first-ever tie at their home ground to a foreign side. If the original encounter had been sold afterwards as an unofficial world title, Kocsis was making sure that the rematch saw him wrestle his piece of the belt back, even managing to produce a headed goal on the night. It’s difficult to tell for sure, but it’s equally easy to infer a great deal from his three-goal haul against Wolves. He probably saw it as his opportunity to prove himself, remind the world of his quality and finally move on to bigger and brighter things. A remarkable striker who played such a starring role in Hungary’s most fertile period in football before going on to carve out a wonderful club career, it’s sad to think that Kocsis is still, in a way, trying to prove his worth. Not largely viewed as a generation-defining figure, due in part to his low-key nature and dislike of the limelight, and widely seen now as Ronaldo’s next target, Kocsis might not get singled out the proper way as much as he should, but nothing can erase the history he created, the goals he scored or the unlikely path he beat en route to his own unique corner of greatness. With thanks to Gergely Marosi and @aspiring_bear for their expertise.